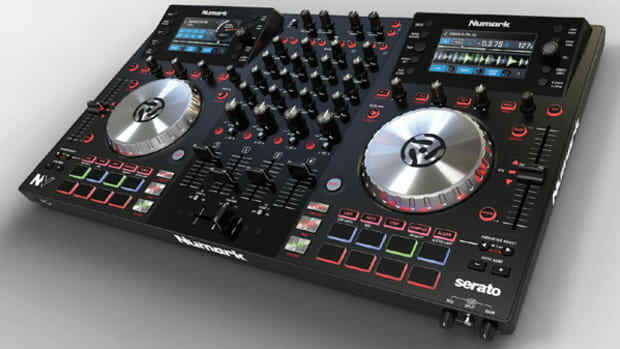 The Numark Mixtrack Quad is the 4-deck version of the newly released (and reviewed) Mixtrack Pro II Digital DJ controller. 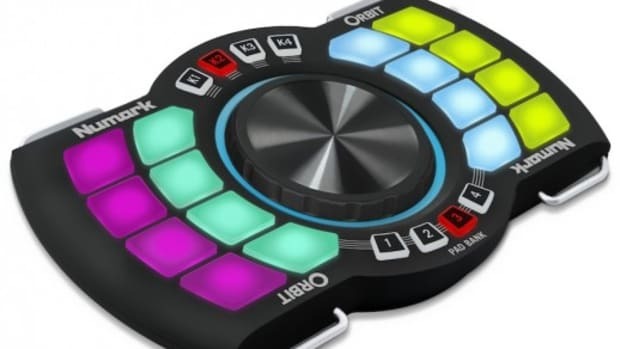 The Mixtrack Quad comes bundled with Virtual DJ LE and the user gets two additional decks/channels to mix with, multi-colored LED&apos;s on the performance pads/jog wheels, and even better construction for added durability. We&apos;re currently working on the full HD-Video and written review which will be completed shortly, but be sure to watch the unboxing and first impressions video to see what comes in the box. ), so you can get an idea of what to expect on the Mixtrack Quad. One of the main differences between the Mixtrack Pro II and the Mixtrack Quad is the software offerings. The Mixtrack Pro II comes bundled with Serato DJ Intro and can be upgraded to the full Serato DJ to take advantage of additional features. 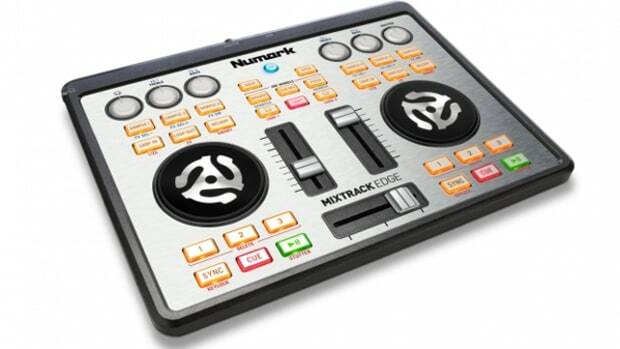 Since the Mixdeck Quad is a four-deck controller straight out of the box, Numark decided to use a four-deck version of Virtual DJ LE so that users can use all four decks without purchasing an additional software upgrade. 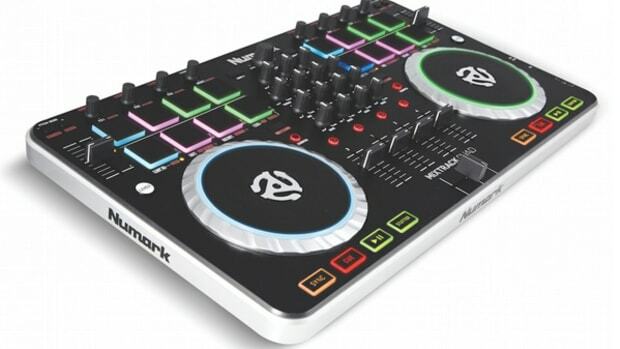 The Numark Mixtrack Quad now has multi-color backlit indicators for the 16 performance pads which probably identify which "Mode" the pads are in or which deck they belong to. The jog wheels now also have multi-colored rotating LED indicators which will let the user know which of the four Virtual DJ decks they are currently controlling. 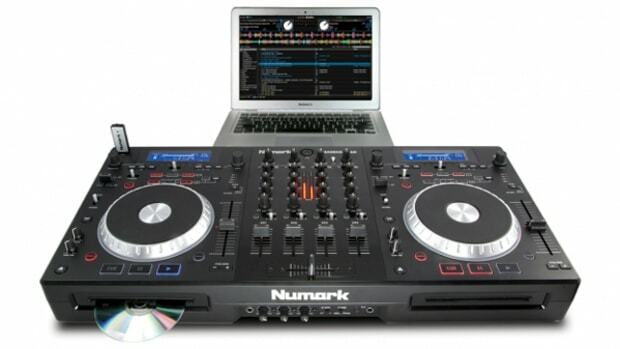 On the screen in Virtual DJ, the four decks each have their own color which will match the color of the jog wheel in use. Stay tuned for the full review treatment after we put the Mixtrack Quad through the paces. 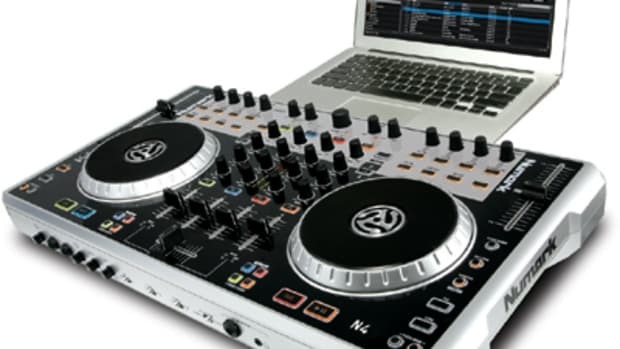 The Numark N4 is a versatile USB MIDI DJ controller that boasts an internal soundcard with the ability to work with DVS timecode vinyl/CD's and it can work with a plethora of different DJ software. The N4 comes bundled with Serato DJ Intro and a special four-deck version of Virtual DJ LE to get DJ's started right out of the box. 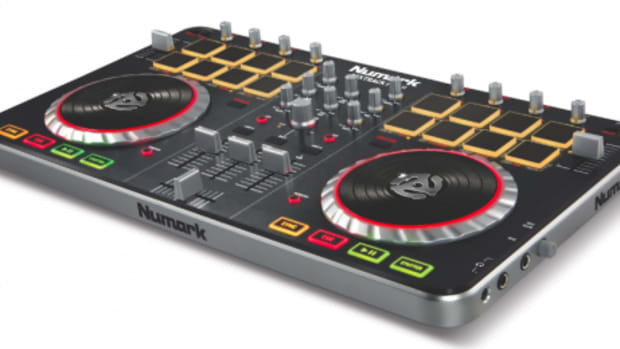 Numark was gracious enough to send us a Brand new Numark N4 Digital DJ controller so that we could put it through the tests. The full HD-Video review will be released shortly, but check out the unboxing/first impressions video after the jump. The Numark Orbit DJ controller was announced earlier this year at NAMM 2013 and we've finally got one in the DJbooth.net Lab for a full out review. 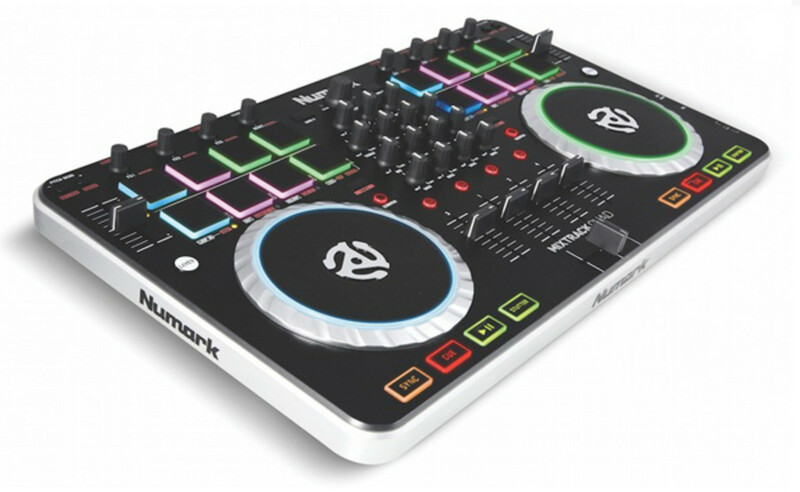 The Numark Orbit is very small and compact with rubberized performance-style multi-color-backlit pads on each side to control different DJ software functions, a jog wheel in the center, and accelerometers inside for motion sensor style control. DJ's can perform with the Orbit via USB port (connected to a computer which also charges the unit) or wirelessly on the dancefloor with the crowd. The full review will be completed shortly, but check out the unboxing and first impressions video to see what comes inside the box.